"Published at the tail end of the post-punk revival, Rip It Up And Start Again takes an encyclopaedic look at post-punk and every tangentially-related genre of the late 70s and early 80s. Simon Reynolds looks into not only the developments of bands and sub-genres, but labels, zines, and local scenes to give a complete picture of the patchwork of the industry in a pre-digital era. The book is an increasingly valuable artefact; included in the over 100 interviews are legends such as Tony Wilson and Ari Up who have passed since its publication, as well as an interview with John Peel. 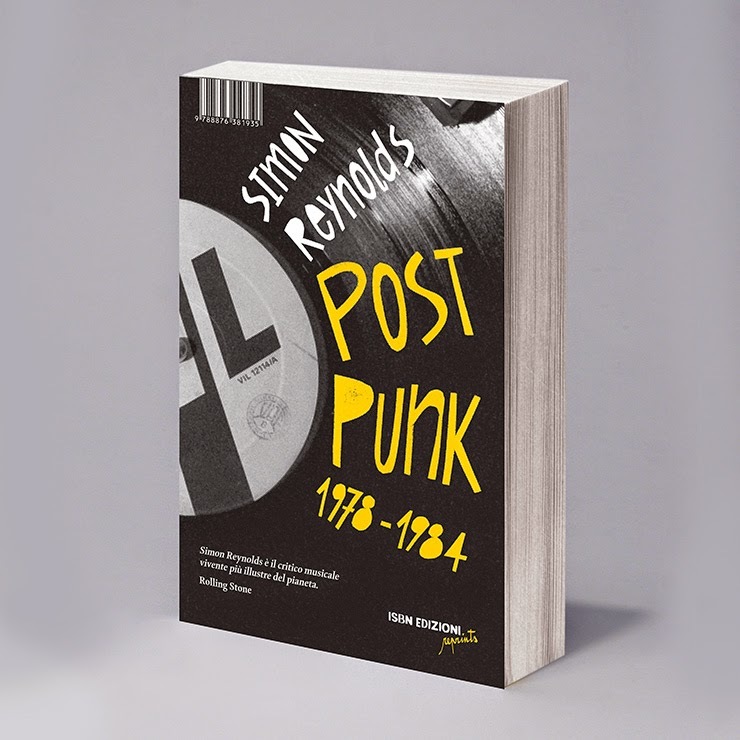 "Reynolds traces the history of the post-punk era in this high-minded account." Parce qu'il fut élevé à l'école visionnaire et futuriste du post-punk, Simon Reynolds (voir ici notre entretien) fait parti de ces critiques musicales qui ont toujours devancé les tendances. Collaborateur de longue date au Melody Maker ou chez Wire, pionnier des journalistes électro, l’anglais est toujours à la pointe, et ce depuis le début. Au commencement des années 90, il s'investit totalement en tant que rédacteur freelance dans la scène house, techno et jungle. 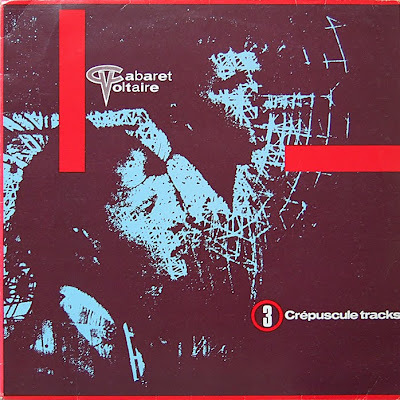 Une passion jamais démentie qui prend sa source dans les expérimentations post-punk et disco-punk justement, des années 1978-1984 qui, de Cabaret Voltaire à Throbbing Gristle en passant par Suicide, Gang of Four, Telex ou la synth-pop, préfiguraient largement ce qu'allait devenir la musique électronique telle que nous la connaissons aujourd'hui. La parution chez Allia en 2007 de son livre Rip it Up and Start Again fut un véritable événement, ainsi qu’un retour aux sources de ce qui fait de Reynolds un journaliste unique. 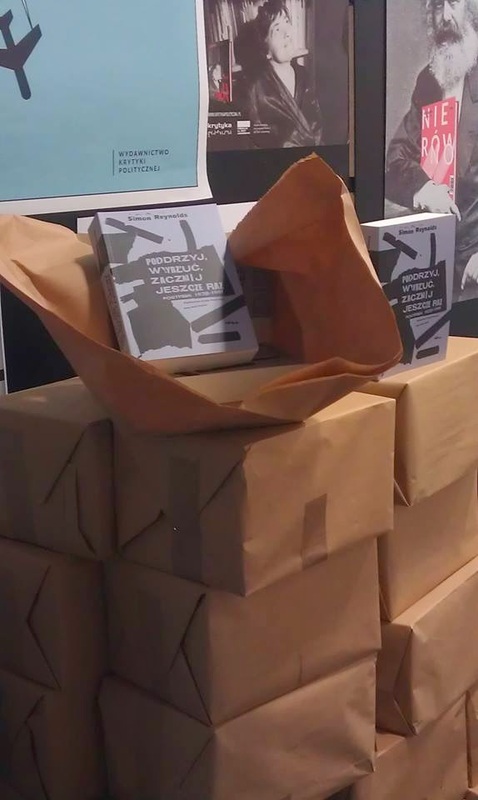 En explorant la production foisonnante de ces années post-punk sous l’angle de la musique mais aussi de la politique et de la philosophie, Reynolds initie un journalisme musical à tendance sociologique et lui donne une nouvelle dimension. Incontournable"
"[IMAGE Daily 5 Books About Music] 1. 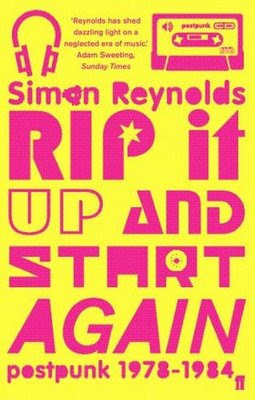 Rip It Up And Start Again: Postpunk 1978-1984 by Simon Reynolds Simon Reynolds eats and breathes music as well as writing it - and his enduring love for the small details and gossipy minutiae of post-punk music as well as the tunes themselves are blindingly evident in Rip It Up And Start Again. 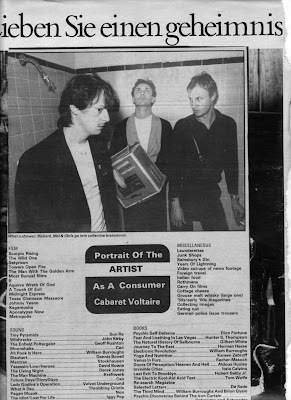 Postpunk is the genre that shaped not only what we listen to but how we listen to it today. Told in chapters exploring the history and impact of bands in Europe and North America, it’s incredibly compelling - and much more informal than the title would leave you to believe"- Sarah Waldron, IMAGE Daily. 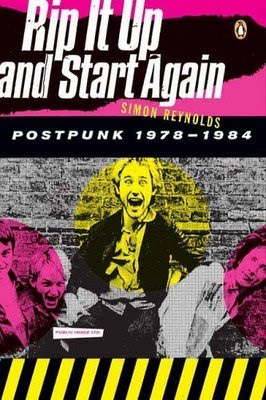 "Rip It Up And Start Again, Simon Reynolds' exhaustive study of the British and American post-punk scene between 1978 and 1984, has very few serious rivals as the greatest music book of this decade. Even those whose musical tastes wouldn't stretch to accommodate most of the bands featured in its pages are urged to pick up a copy, as it manages to be both an astonishing feat of research and a breathtakingly illuminating piece of writing." -- Sunday Business Post (Ireland). “We got a copy of the U.S. version of Simon Reynolds' Rip it Up and Start Again: Postpunk 1978-1984 this weekend. We're at about the midway point and are already convinced that it's the best music book we'll read this year. The writing is informative and accessible, so even if you know nothing about some of the bands he mentions, you're still able to follow along”--The Minor Lift, the Major Fall. ‘Reynolds makes his case with expansive intelligence, pristine prose and occasional bleary wit. Anyone who claims to have read five better books about pop is mad, or a liar”-- Andrew Mueller, The Guide (Guardian). "This is a monumental book, something of a labor of love for Reynolds... His success is to produce a guide that's never dry, but is instead both highly personal and authoritative--a new addition to the handful of essential pop books”--Robert Yates, GQ. "Parce qu'il fut élevé à l'école visionnaire et futuriste du post-punk, Simon Reynolds (voir ici notre entretien) fait parti de ces critiques musicales qui ont toujours devancé les tendances. Collaborateur de longue date au Melody Maker ou chez Wire, pionnier des journalistes électro, l’anglais est toujours à la pointe, et ce depuis le début. Au commencement des années 90, il s'investit totalement en tant que rédacteur freelance dans la scène house, techno et jungle. Une passion jamais démentie qui prend sa source dans les expérimentations post-punk et disco-punk justement, des années 1978-1984 qui, de Cabaret Voltaire à Throbbing Gristle en passant par Suicide, Gang of Four, Telex ou la synth-pop, préfiguraient largement ce qu'allait devenir la musique électronique telle que nous la connaissons aujourd'hui. La parution chez Allia en 2007 de son livre Rip it Up and Start Again fut un véritable événement, ainsi qu’un retour aux sources de ce qui fait de Reynolds un journaliste unique. En explorant la production foisonnante de ces années post-punk sous l’angle de la musique mais aussi de la politique et de la philosophie, Reynolds initie un journalisme musical à tendance sociologique et lui donne une nouvelle dimension. Incontournable." 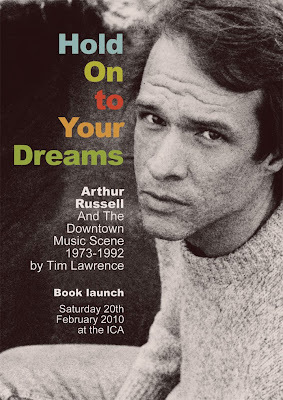 London massive may wish to attend the launch event for Tim Lawrence's excellent study of Arthur Russell, Hold On To Your Dreams, at the ICA on February 20th. 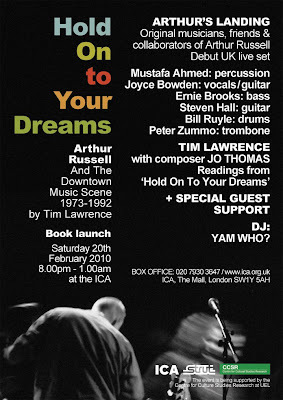 Tickets can be purchased via the ICA website; updates, news and further information re. the launch and the book can be found at Tim's book blog.